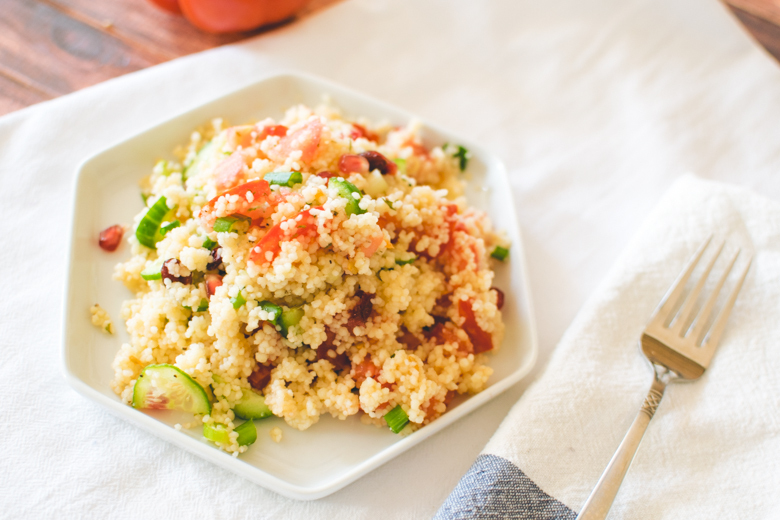 Have a dinner party coming up or potluck or just in need of a new salad for lunch? 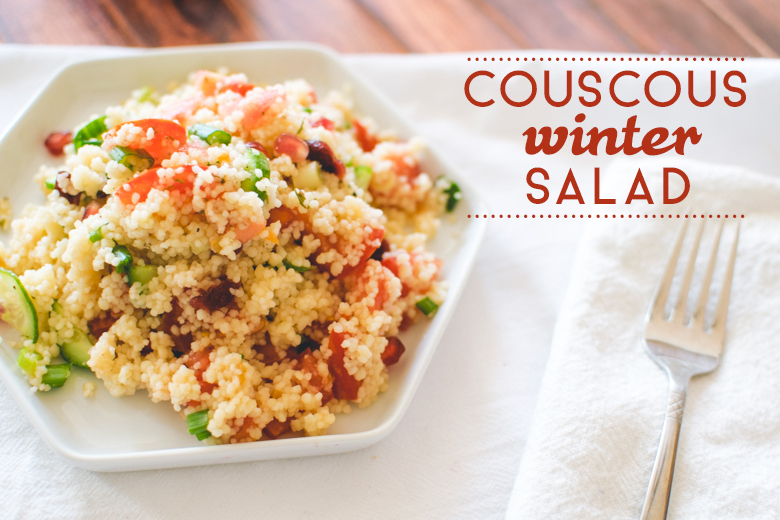 My Couscous Winter Salad recipe is a great new candidate for you to try out. The recipe is vegan, but adding cheese such as feta or goat, would go very nicely with this salad. 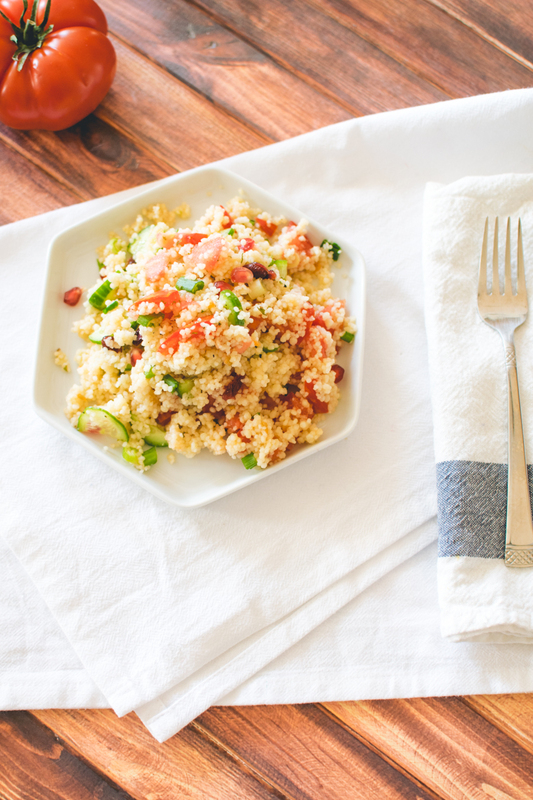 Couscous is a great pasta to have around the house, especially because it is so versatile. Whether you desire a cold or a warm dish with some curry, a cooked cup of it is only 175+ calories & 6g of protein. 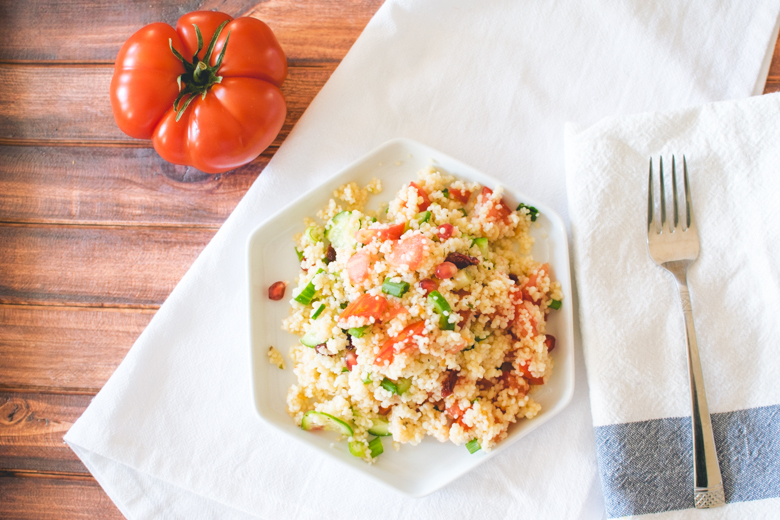 You could even cook the couscous in green tea to infuse it with an extra dose of antioxidants on top of the pomegranate seeds. I personally prefer it with a savory curry, but it’s still enjoyable as a salad too. So, I was a bit ambitious & wanted to post a bunch of new albums in the gallery from last year, but I’m just not up to it today. I’ve been pretty active lately (yoga, y’all! ), so if you think I just sit on the couch picking my nose all day playing The Sims 4 (you guys, it’s available on the Mac now!!! ), you’re just like 80% wrong. Also, if you haven’t already participated Georgina’s A Day in the Life Monthly Linkup you should. The next date is St. Patrick’s Day, so hopefully I’ll have a nice naturally green recipe, because all of those dyed recipes creep me the heck out. I’m also traveling to Bogota, Colombia on March 19th for a wedding so if you enjoy travel photos, YOUZ GON BE IN FO A REAL TREAT, Y’ALL! What’s your favorite naturally green food? Stuffed cabbage, salad, matcha, what what what tell me tell me! Yum. That looks superb. 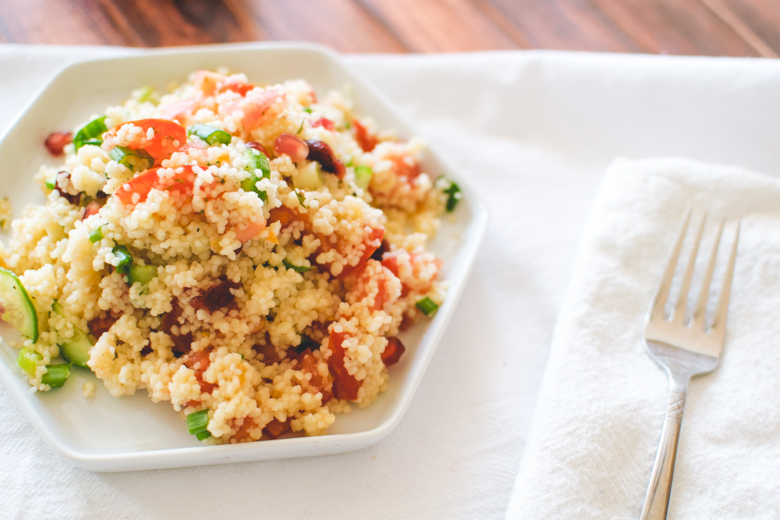 I never quite got into couscous, but I may look into it more after seeing this! You have a blast on your trip to Colombia! I look forward to your travel photos! Yay! Overly sweet dressing often ruins a salad for me too. I’ve noticed that every time you comment (after I switched to JetPack’s comments system), your comments go straight into moderation. I think you’re not filling the form correctly so I edit it for you. It’s a little bit opposite of the popular format, so keep that in mind! Dyed recipes are weird to me too. I like a lot of green vegetables! My favorites are probably broccoli, snow pea leaves, and Chinese water spinach. Looking forward to your travel photos! Have fun at the wedding! As for a green dish? I love lettuce wraps and stuffed green peppers! Ugh. I’m starving and I just had a late lunch. That’s really nice of you to say, Connie! 🙂 Makes me happy to hear that! I’d be so honored by any dedication or mention on your blog. If you ever need any tips or help, just ask. I’m more than happy to help. Lettuce wraps are great & stuffed peppers too. I think I will most definitely post a lettuce wrap recipe in the future. They’re so easy & healthy (given that you don’t use something unhealthy to wrap); they’re also pretty quick to make. Thanks for the ideas!